NPR Kroc Fellowship Application And Program Information The Kroc Fellowship is a yearlong program designed to identify and develop the next generation of extraordinary public media journalists. 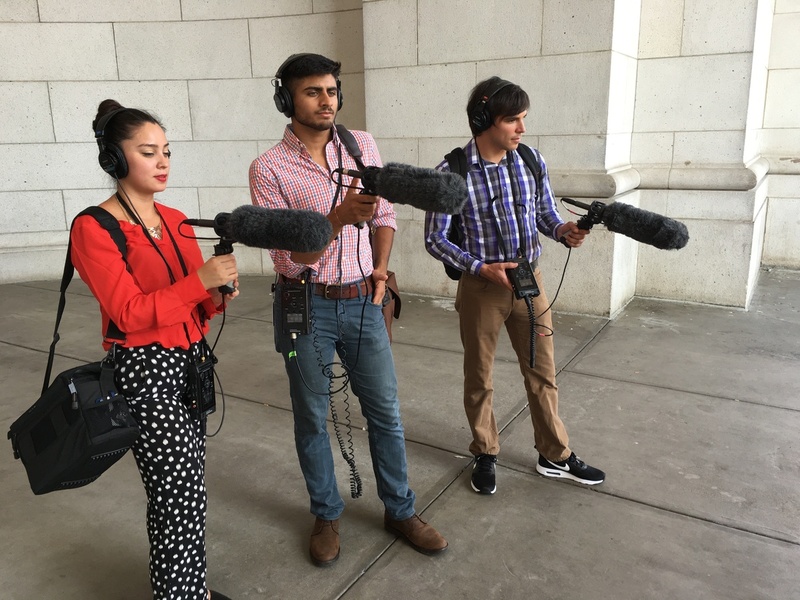 2016-2017 Kroc Fellows Jessica Diaz-Hurtado (left), Parth Shah and Stephan Bisaha practice their recording technique at Union Station in Washington, D.C. Fellows receive hands-on training in audio and digital storytelling. Three fellows are selected each year and receive hands-on training in audio and digital journalism, including writing, reporting, producing and editing. Applicants must be recent graduates, but previous journalism experience is not required. Now in its 13th year, the program has produced nearly 40 fellows, many of whom continue to work at NPR and Member stations across the country. Develop audio production and writing skills by working on an NPR program or podcast. Past fellows have worked at Weekend Edition Saturday, Hidden Brain and alt.latino. Become better reporters, writers and storytellers by working under the guidance of skilled editors, producers and the NPR Training team. Gain firsthand broadcast journalism experience by working at an NPR Member station. The fellowship offers hands-on journalism experience at various units within NPR and at an NPR Member station. Fellows work alongside some of the nation's most respected reporters, producers and editors. They also receive regular instruction in writing for radio and digital audiences. The fellowship begins each year in late August/early September and lasts 12 months. 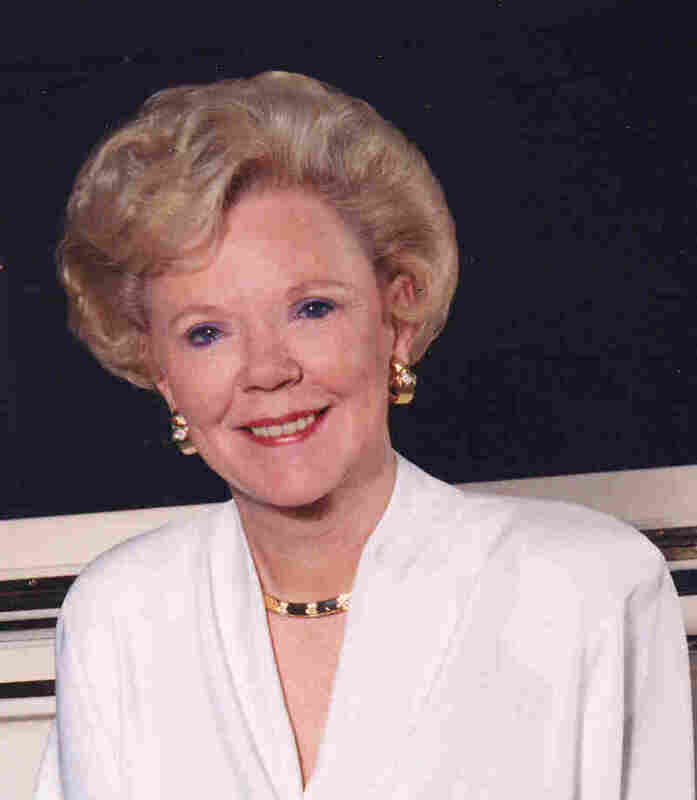 Fellows receive a stipend of more than $45,000 and benefits, including paid vacation. 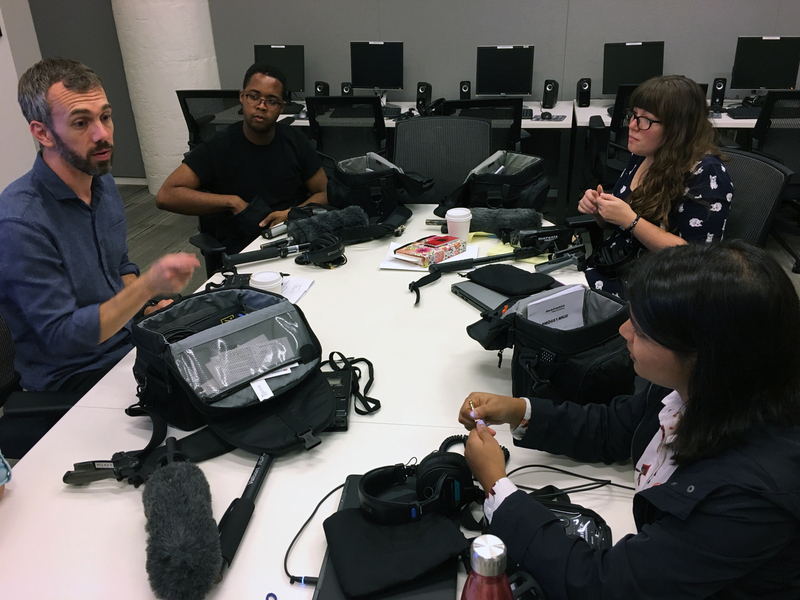 Rob Byers (left), of the NPR Training team, explains the components of recording kits to 2017-2018 Kroc Fellows Carl Boisrond, Adelina Lancianese and Adhiti Bandlamudi. While the ideal Kroc Fellow aspires to work in public media, previous journalism or public radio experience is not required. Fellows must be able to demonstrate exceptional potential and drive. Applicants must be close to completing an undergraduate or graduate degree or have earned a degree no more than one year prior to Dec. 31. Submit your application here. Applications are accepted only between Oct. 15 and Dec. 31 each year. After the hiring team reviews applications, 10 finalists are selected for a round of in-person interviews at NPR in late spring. Selections are made shortly thereafter. Answers to the following questions: 1.) What do you want to do in journalism? 2.) Tell us about a news story you've been following. Why has it held your interest? 3.) Tell us about a piece of journalism you've enjoyed. What did you like about it? Two reference letters from people who can speak to your work ethic and commitment to curiosity, including names and contact information. The letters should be addressed to the Kroc Fellowship Committee and must be emailed to kroc@npr.org as a Microsoft Word or PDF file with APPLICANT LAST NAME, FIRST NAME – KROC FELLOW APPLICANT in the subject line. The deadline is Dec. 31.